Rainbowstream is a fun little terminal based Twitter client for Ubuntu. It is similar to Twidge in so many ways and has every capability you expect from a basic Twitter client. Compose, favorite, search, retweet or simply browse your stream, Rainbowstream has got you covered, and lets you do all that from a simple command line interface! Install the dependencies first. Copy-paste the following command in Terminal. Done. Now do this, again in Terminal. Rainbowstream is installed all right. Done. Now you need to configure your Twitter account to be used with Rainbowstream. There aint much to "configure", but here is it anyway. 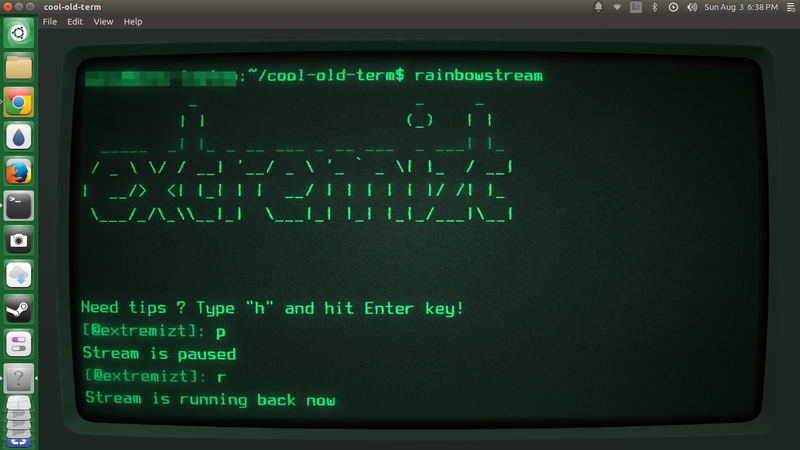 Run Rainbowstream from Terminal. Just type this and ENTER. Twitter will then ask whether you want to give permission to the app for accessing your account. Granting access will give you the code. Enter that in the Terminal. Done. Hit 'h' and ENTER, you'll get detailed help texts. Eg: Typing "t linux" (without quotes) tweets "linux" to your followers.